Dana White wants to get Brock Lesnar back in the Octagon — telling TMZ Sports the heavyweight division was “fun” back when Brock was in the UFC. The UFC honcho posted a photo with Lesnar on Sunday — and, while it’s unclear when the pic was taken, it just so happens the WWE Elimination Chamber event went down in Vegas … Dana’s home turf. 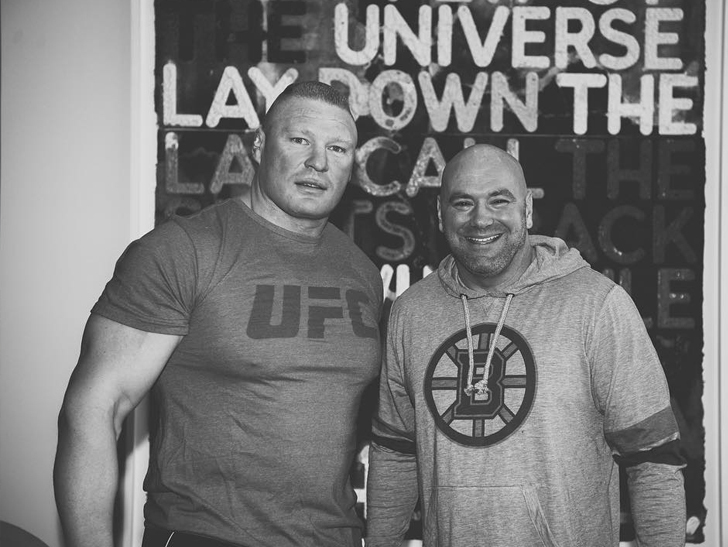 Just a few days before, we spoke with White about Lesnar and the possibility of a return to UFC — and he was hopeful the two sides could work something out when Brock’s WWE contract expires in April. How would he stack up against the reigning heavyweight champ Stipe Miocic? We asked Dana … check out what he said. Lesnar hasn’t fought in the UFC since UFC 200 back in July 2016 when he defeated Mark Hunt — only for his victory to be overturned after Brock tested positive for PEDs. Lesnar was suspended for 1 year — but that suspension is now up and he’s free to fight again. Guess Who This Fun Size Footballer Turned Into!